MG for ’54 has been restyled and hopped up. 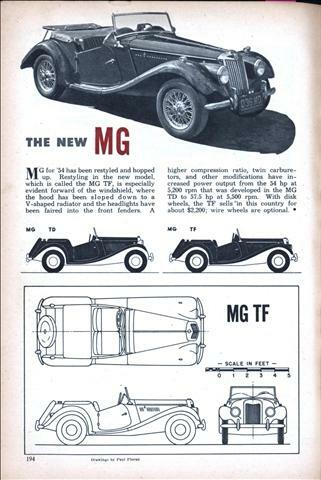 Restyling in the new model, which is called the MG TF, is especially evident forward of the windshield, where the hood has been sloped down to a V-shaped radiator and the headlights have been faired into the front fenders. A higher compression ratio, twin carburetors, and other modifications have increased power output from the 54 hp at 5,200 rpm that was developed in the MG TD to 57.5 hp at 5,500 rpm. 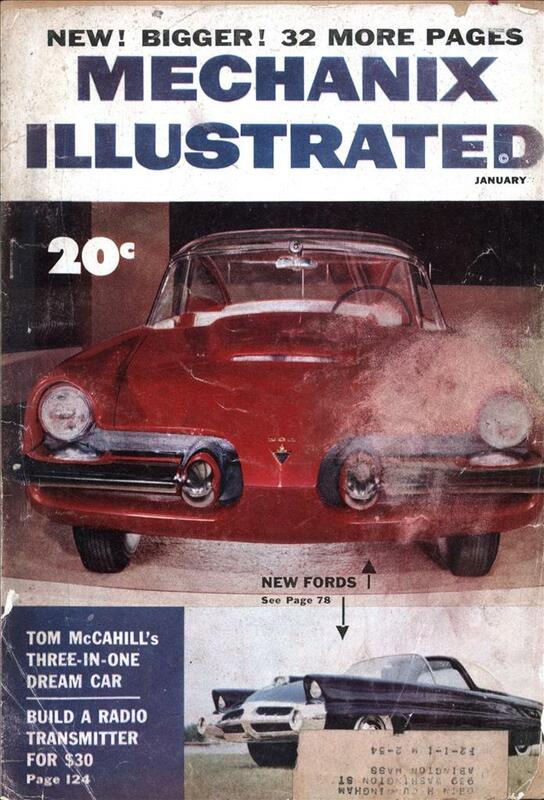 With disk wheels, the TF sells in this country for about $2,200; wire wheels are optional.